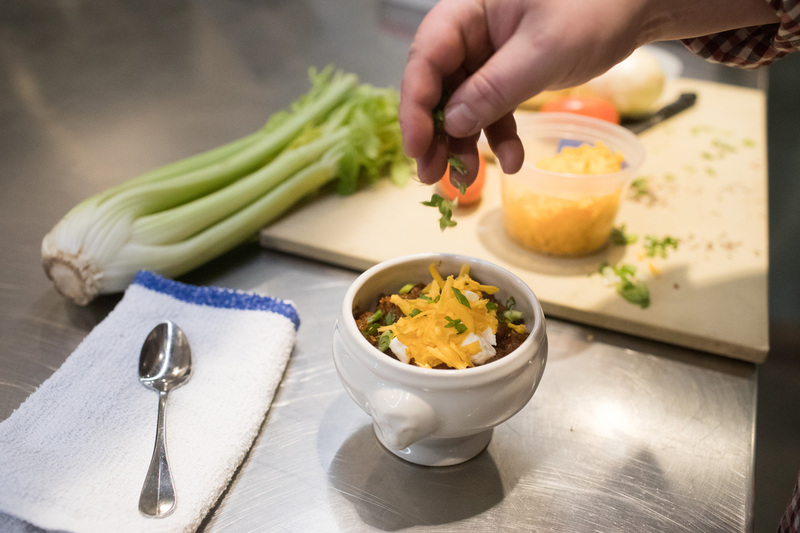 Whether it’s for a neighborhood cook-off or just a cozy meal on a cold day, everyone has a special twist on the classic chili dish. 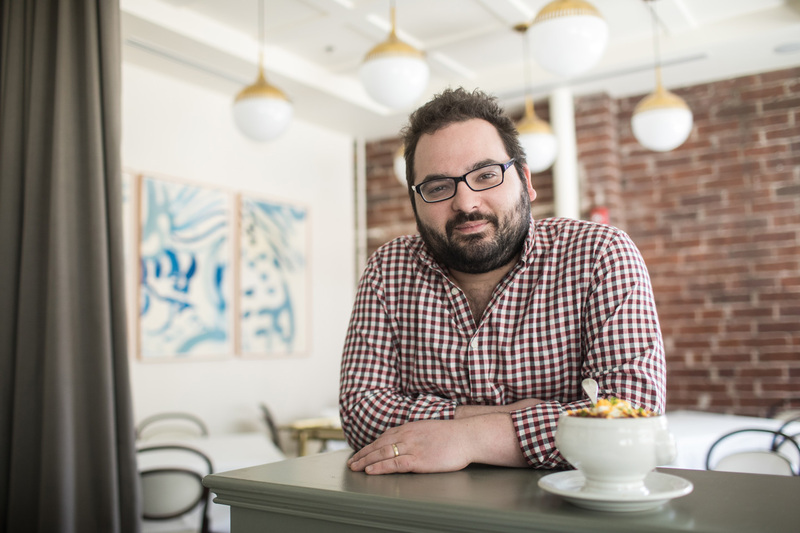 We sat down with Eli Kirshtein, former Top Chef: Las Vegas contestant to talk about his favorite chicken chili recipe. “Fresh chilies are a must for me – they add more dimension,” said Kirshtein, who first tested his culinary chops at the age of 16, working as a protégé in the kitchens of Atlanta Chefs Kevin Rathbun and Richard Blais, and then went on to lead kitchens at acclaimed restaurants in New York City and Miami. The key to a good chicken chili, advises Kirshtein, is to get fattier chicken and always start your meat and vegetables on high heat to sear the flavor in and give the meat a more appetizing color. Once it is up to temp, never let it get hotter than a simmer. Kirshtein also suggested roasting spices for 30 to 45 seconds to bring a brighter taste to the dish. For those who like chili a little spicier, consider leaving seeds in the chilies when cooking. If you prefer sweeter, you can increase the amount of tomato ingredients in the pot. As for toppings, Kirshtein prefers sour cream, cheddar cheese and scallions. And to settle the chili-lovers’ debate – crackers or cornbread – Kirshtein says cornbread all the way. Heat pot with a small amount of vegetable oil until quite hot and brown chicken, stirring occasionally. Add vegetables, reduce heat and let the moisture rise to the surface (or “sweat”). Add spices and continue to sweat for a bit. Add tomatoes and reduce to a slow simmer. Cook all day (at least four hours), season with salt at the very end. Garnish with cheese, sour cream and scallions.